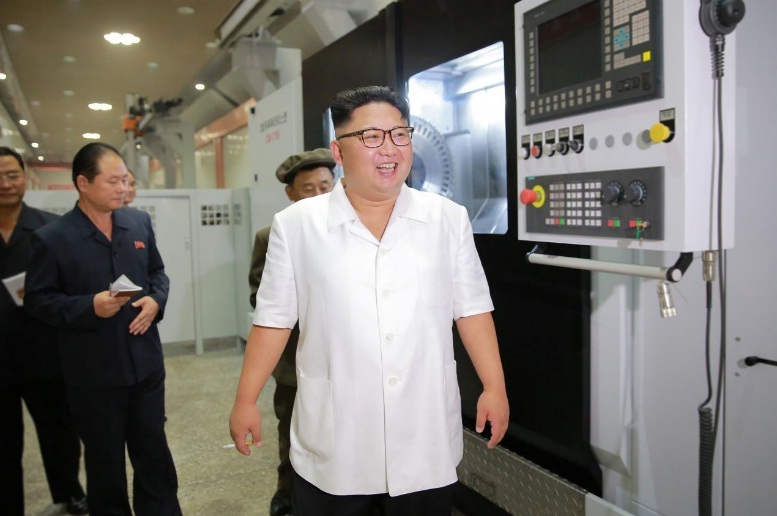 North Korean leader Kim Jong-Un inspects the January 18 General Machine Plant in Pyongyang, North Korea in this undated photo released by North Korea's Korean Central News Agency (KCNA) on August 10, 2016. CLARK FREEPORT ZONE, Philippines - The threat from North Korea has grown to a “critical and imminent level” and the United States, Japan and South Korea must address the matter, Japanese Defense Minister Itsunori Onodera told his U.S. and South Korean counterparts in talks on Monday. Mattis has been more cautious in his public remarks than U.S. President Donald Trump, who has been locked in a war of words with North Korean leader Kim Jong Un, threatening to destroy North Korea if necessary to defend the United States and its allies. Mattis, while in the Philippines, said he will commend the military for defeating insurgents in Marawi City on the islandof Mindanao. The Philippines said on Monday it has ended five months of military operations in Marawi after a fierce and unfamiliar urban war that marked the country’s biggest security crisis in years. Some experts see the Marawi insurgency as a prelude to a more ambitious bid by Islamic State loyalists to exploit Mindanao’s poverty and use its jungles and mountains as a base to train, recruit and launch attacks in the region. On Thursday, Mattis will lead the U.S. delegation inThailand for the cremation rites for the late King Bhumibol Adulyadej. The threat from North Korea has grown to a “critical and imminent level” and the United States, Japan and South Korea must address the matter, Japanese Defense Minister Itsunori Onodera told his U.S. and South Korean counterparts in talks on Monday.